Do you spend too much time comparing and adjusting your online prices to your competitors? Monitor your competition online and react automatically! Our service automates the price optimization and provides you with all important market information. This significantly increases sales and margins and keeps you one step ahead of your closest competiors. With the Plugin "Pricemonitor" you can easily transfer items to "Patagona Pricemonitor", calculate sales prices based on individual price strategies and restore recommended prices. Fully automated or by pushing the price-button! The Pricemonitor automatically tracks the prices of your competitors by scanning marketplaces and price comparison sites of your choice. It calculates the optimal prices and changes them directly in your system, based on your own pricing strategies. We help you to gain an exact market overview by analysing and preparing the offers of the competition. All data generated in the tracking process is made available to you in your own Pricemonitor account. Daily updated prices. By default, Pricemonitor monitors prices once a day. For example, we go there every morning and analyse the prices of the competition. As a result, you will receive our newly calculated recommended prices at noon. However, sometimes it makes sense to analyse prices several times a day. On request you can use dynamic monitoring for this. In addition to a pricing strategy for your entire or parts of your assortment you can determine which strategy is to be used for each article or article group individually. There are no connection fees! We scale our prices according to the number of monitored items. More detailed information is available here. You would like to test Pricemonitor free of charge and without obligation and do not yet have any login data? Then create your individual test account now! Do you need help with the installation of the Shopware Plugin´s or would you like a non-binding consultation? Please do not hesitate to contact us. Questions, suggestions and requests are welcome at sales@patagona.de or by phone at +49 (0) 6151 / 800 832 0. Install and activate the plugin via the plugin manager. The plugin can be found after the installation and "Articles" / "Items". Now you can use your login data to make the desired settings in the plugin configuration. For the setup and configuration of the plugin, we are happy to provide you with the installation instructions, which you can download here. You have questions during the installation or you have no login data? - Then please do not hesitate to contact us at sales@patagona.de. Gladly our sales team will help you! - Added support for exporting many products. - Introduced product export and price import batch size configuration. Establishing compatibility for Shopware 5.4.x. Improvement of filter adjustment options: From now on it is possible to define filter groups. Improvement of the process of price import: You can now specify which products you want to import price recommendations and which products are transferred to the price monitor for monitoring purposes. Introduction of logs: The logs of exports and imports are now accessible to you as a user. 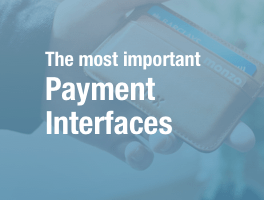 This gives you an accurate overview of the data exchange. Sell on Google Shopping, Amazon, Facebook, Idealo, Real.de, etc. 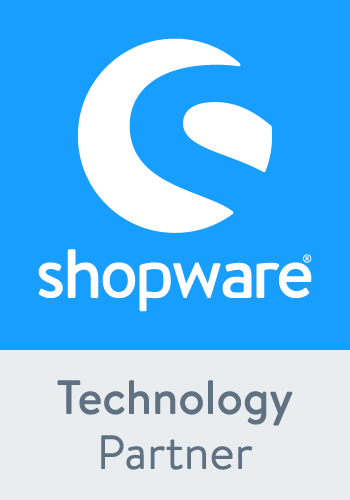 with your Shopware store! We provide an all-in-one solution that helps to optimise your whole shipping workflow. With our powerful newsletter software you can create, send and evaluate your newsletters. Automatically sends invoices of the day to predefined e-mail addresses. Edit the headline and content of the service hotline. Intuitive and efficient email marketing & marketing automation with the SendinBlue interface! Enter the new dimension of e-commerce. Make 25% more profit automatically with geo-pricing! Timed to change prices in Shopware at a given time per article. Update your shop and amazon prices to offer your best price!